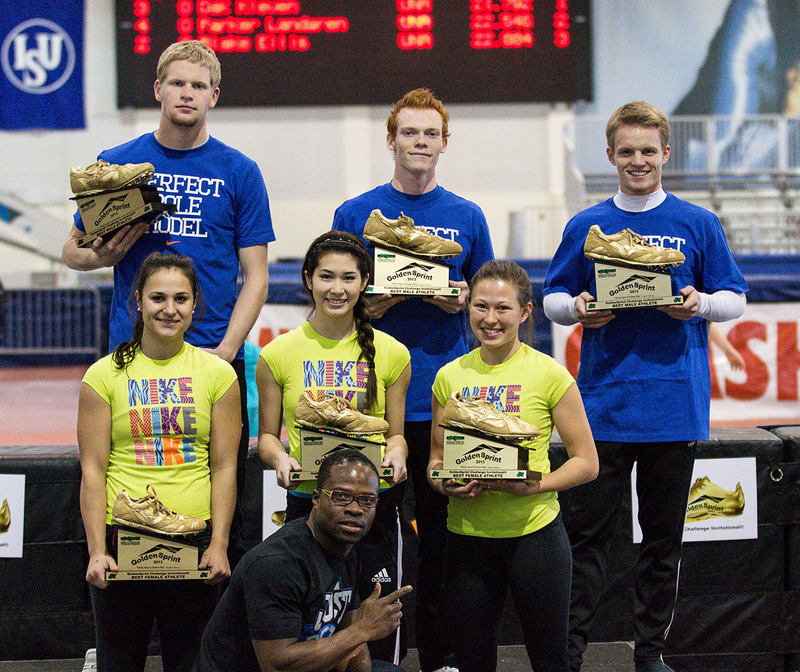 The fastest men’s and women’s sprinters at the GoldenSprint Challenge followed Frimpong’s footsteps and took home the first GoldenSprint Spikes Trophies. Kassie Jensen, Chandler Rieske, Dak Kleven, Arlene Gowar, Parker Landgren, and Nicole Laws gained this coveted honor. Results and other information concerning the annual GoldenSprint Challenge Invitational can be obtained by emailing goldensprintchallenge@gmail.com or visiting our goldensprintchallenge.com. Runners from area high schools and colleges have been invited to compete in the first annual 2012 GoldenSprint Challenge Invitational track and field sprint event March 9 at the Utah Olympic Oval. Sprinters will compete in a 60 meter race and/or a 200 meter race. This meet, sanctioned by the USA Track and Field Association, is the dream of Akwasi Frimpong, 2012 Dutch Olympic hopeful and UVU student. He hopes to inspire more youth to participate in sports – especially track and field. To kick off this goal, he partnered with the Utah Olympic Oval to put together this meet, and future plans are to make this an annual international meet to promote local and international athletes. The GoldenSprint Challenge will be March 9, from 10 a.m. to noon at the Utah Olympic Oval, 5662 S. Cougar Lane in Kearns.The Proceeds benefit the Utah Special Olympics.Register now.To register for the meet, visit www.goldensprintchallenge.com. For more information, call Erica Shields at 435-669-2127, or Akwasi Frimpong at 801-494-3060 or Russ Amstrong, USATF meet director, at 801-358-6415. Information can also be obtained by emailing goldensprintchallenge@gmail.com. 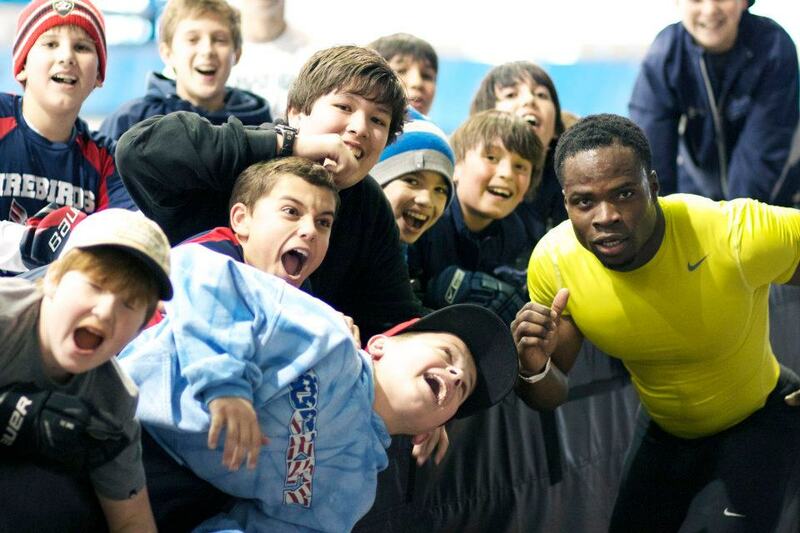 Akwasi Frimpong at the Utah Olympic Oval. Picture by John Parker.